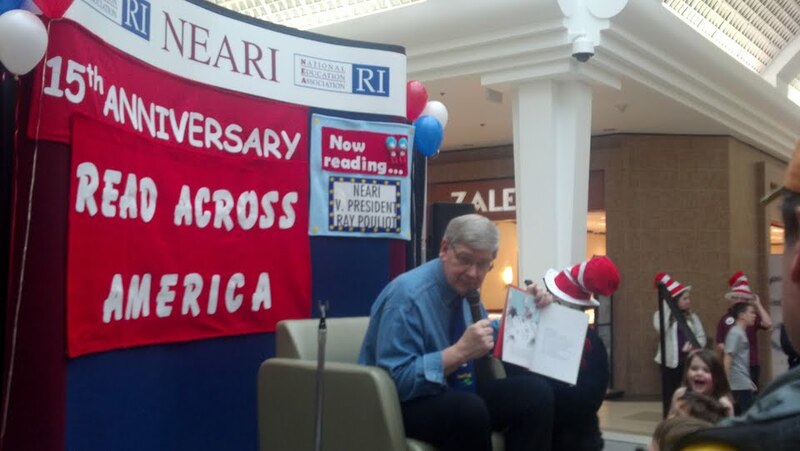 This morning we went right over to the Warwick Mall for their Read Across America event with Dr. Seuss. The boys went last year, caught the tail end and loved it. This year we were there right at the beginning. They were super excited to get their photo taken with the Cat in the Hat. 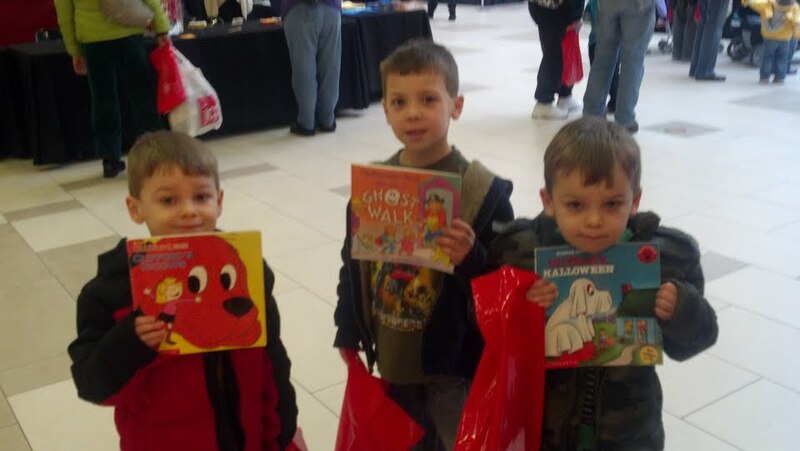 After that they waited in line to pick out a new book. I was amazed at all the choices for the smaller kids! 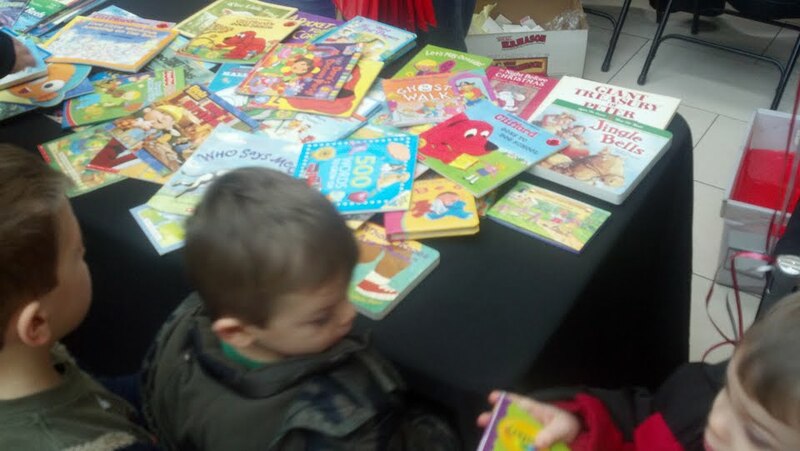 Look at all these books. There were several tables filled. A few minutes later, the boys each had a brand new book! Then we settled in for a story. Here is a photo from the first reading with NEARI Vice President Ray Pouliot, though we also saw Congressman Cicilline and two of the Nirope guys waiting to read as well. 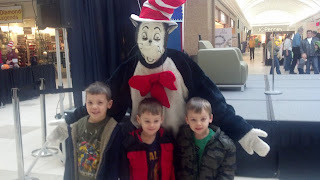 The Cat in the Hat was sticking around for the readings... so if you haven't been down there yet, now is the time. The event runs from 10am - 2pm today! While there are also several craft tables set up, that part was sort of a mob scene so you might want to steer clear of that (unless the tables happen to be empty). It was the only thing the boys were disappointed they didn't get to do. No worries though. Because today? 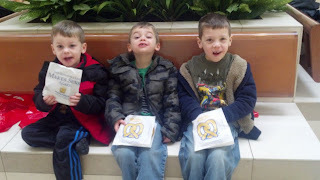 Happens to be Free Pretzel Day from 10am - 3pm at Auntie Anne's ... so once the boys got to sit down with their pretzels, they had decided they were having the best day after all!